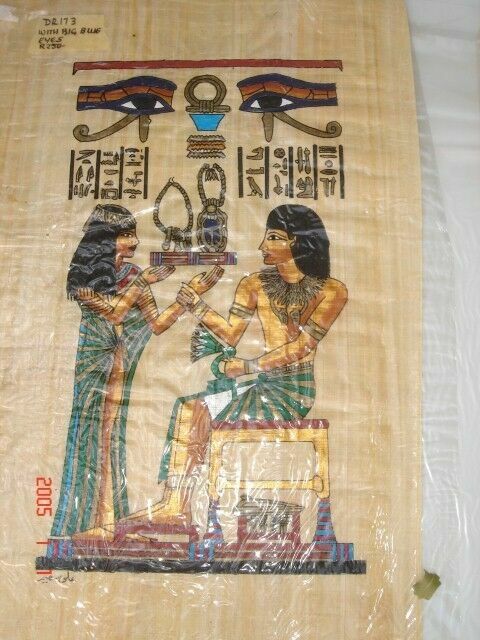 Hi, I’m interested in Maat and Isis | Ancient Egyptian Papyrus Paintings. Please contact me. Thanks! Beautiful emboya kist with ball and claw feet, finished in light grey chalk paint, with a rose design on the side and lid. Excellent condition.